2. 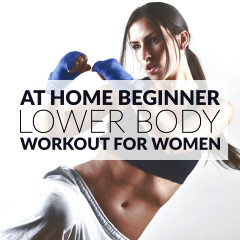 Lower yourself by bending your knees and pressing your hips back. 3. 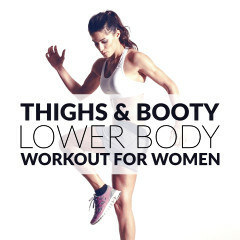 Once your thighs are parallel to the floor, come back up and repeat. When doing the sumo squat keep your back straight, abs tight and make sure that your knees stay in line with your toes. Breathe in as you squat and, once your hips are slightly lower than your knees, push through the heels to return to the starting position and breathe out. The sumo squat and the bodyweight squat are very similar exercises that target mainly your glutes and thighs. The difference between the two exercises is the placement of the feet, which impacts the muscles worked. The sumo squat places more emphasis on your inner thighs and glutes and strengthens those areas more than a standard squat. Start with regular squats to practice your exercise form and, once you’re ready to increase the challenge, add 2 or 3 sets of 15 to 20 sumo squats to your lower body workouts. If you want to burn more calories, while working the same muscle groups, add 2 or 3 sets of jump squats or flutter kick squats to your workouts.